Ph.D. (2014) from Department of Commerce and Business Studies, Jamia Millia Islamia, New Delhi, India Title of thesis: Marketing of Financial Services by Public Sector and Private Sector Banks: A Comparative Study of SBI and ICICI Banks. 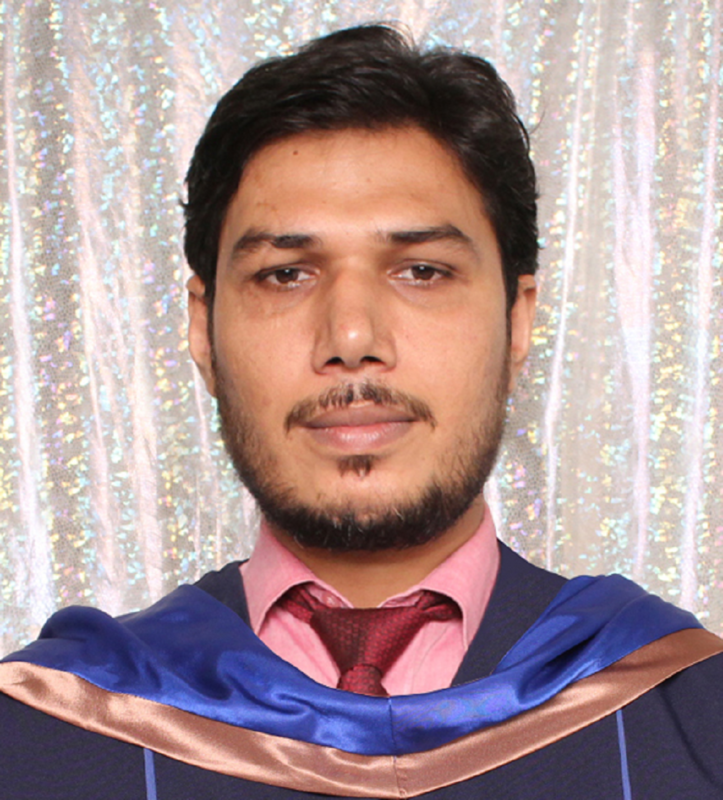 2017 - Present: Assistant Professor in College of Business Administration, Kingdom University, Bahrain. 2014 - 2017: Assistant Professor College of Administration and Finance, Saudi Electronic University, Saudi Arabia. 2013 - 2014: Assistant Professor (AP-II) in the School of Management, IMS Unison University, Dehradun, Uttarakhand, India. 2009 - 2013: Assistant Professor, Finance (Guest basis) in Department of Commerce and Business Studies, Jamia Millia Islamia, New Delhi, India. Nabi, M. K., and Rabbani, M. R. (2014). Marketing of Financial Services by Commercial Banks in India. ENKAY Publishing House, New Delhi. Rabbani, M. R., Qadri, F. and Ishfaq M. (2016). Service Quality, Customer Satisfaction, and Customer Loyalty: An empirical study on banks in India, VFAST Transactions on Education and Social Sciences, Volume 9, Number Pp. 1-7. Zulfikar, Z., & Rabbani, M. R., (2014). Pharmaceutical Marketing Trends, International Journal of Social Science and Interdisciplinary Research, 3(12). Zulfikar, Z., & Rabbani, M. R., (2014). Pharmaceutical Marketing: Role and Importance of Physicians, International Journal of marketing Financial Services and Management Research, 3(13). Rabbani, M. R., & Zulfikar, Z., (2013). Applying Factor Analysis in Assessing Customer Satisfaction with Service Quality: The Case of Indian Banks, TIJ's International Journal of Social Science and Management, Singapore, Vol. 3 No. 8. Pp. 165-172. Rabbani, M. R., & Zulfikar, Z., (2013). Service Quality and Customer Satisfaction: An Empirical Study on Public Sector and Private Sector Banks, Excel International Journal of Multidisciplinary Management Studies, Vol. 3(12), pp. 224-231. Zulfikar, Z., & Rabbani, M. R., (2013). Pharmaceutical B2C e-marketing trends – developed markets vs. developing markets, Zenith International Journal of Economics and Management Research, 3(12), pp. 263-270. Rabbani, M. R., and Nabi, M. K. (2012). Application of Multidimensional Scaling Model towards Positioning of Commercial Banks: A Case Study of Public Sector v/s Private Sector Banks. TIJ's International Journal of Social Science and Management, Singapore, Vol. 3, No. 2. pp. 54-61. Rabbani, M. R., and Nabi, M. K. (2012). Innovative Banking in India: Customer Satisfaction and bank strategies, Journal of Business Management Commerce and Research, 1, No. 3. pp. 6-15. Rabbani, M. R., and Nabi, M. K. (2011). Challenges in Marketing of Financial Services- A Conceptual Framework, ‘Futures of Financial Market’ New Delhi, pp. 213-220. Participated as a delegate in a 3 days National Conference, organized by the University of Kashmir, Srinagar, on "Contemporary Issues in Business, Management, and Finance". Participated as a delegate in 2 days National Seminar, organized by the School of Management, IMS Unison University, Dehradun on “Corporate India 2020: Emerging Business Dynamics”. Participated as a delegate in a National Conference on “Futures of Financial Markets” organized by Center For Management Studies Jamia Millia Islamia, New Delhi. Participated in a conference organized by Department of Economics, JMI, on “EWaste Management”. Participated in a conference organized by Zakir Husain College, University of Delhi, on “Recent Trends in Capital Market”. Participated in a conference organized by Department of Commerce and Business Studies, JMI, on "Islamic Financial system: Prospects and Challenges”. Participated in two days Workshop Organized by Arjun Singh Centre for Distance Learning, Jamia Millia Islamia, on “Development of self Learning Material”. Participated in 15 days Refresher Course on “Research Methodology for Environmental Studies”, organized by Department of Economics, Jamia Millia Islamia, New Delhi. Participated in two days “Faculty Development Programme” organized by the Guru Nanak Institute of Management, New Delhi. Participated in three days “Annual Case Writing and Case Teaching Workshop” organized by JK Business School, Gurgaon. Participated in 7 days ‘Online Instructor’s Orientation Course on Blackboard Teaching Techniques and use of Blackboard Tools’. Participated in a one-day training course on ‘Blackboard Smart Device Applications’ via Blackboard.